When the weather outside is frightful, there’s nothing better than curling up on the couch and watching a flick with your crush. So whip up some popcorn, warm up some hot cocoa and start celebrating the holiday season with these five snuggle-worthy seasonal flicks we just know you will love. We think your guy will, too—even if he doesn’t want to admit it. The Holiday (PG-13) Ever wished you could swap lives with someone else for a few weeks? Cameron Diaz is from L.A. and Kate Winslet is from England but both are suffering from broken hearts. When the two trade places over the Christmas holiday, they learn a lot about themselves. Of course they also meet hot new men and fall in love along the way. Trust us, this is one holiday you won’t wanna miss. While You Were Sleeping (PG) Sandra Bullock has met the man of her dreams. There’s only one slight problem: He’s sorta in a coma. When she is mistaken for the man’s fiancé, his family takes her in as one of their own—and just in time for the holidays! Everything is going great until she falls for his brother. This hilarious romantic comedy is the perfect date must-see. 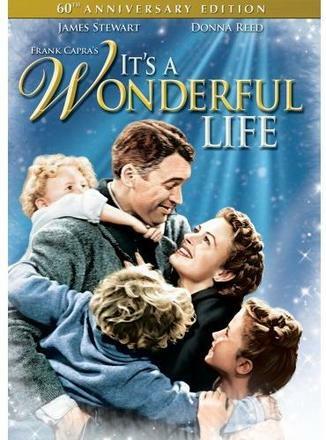 It’s a Wonderful Life (G) Travel back in time with this holiday classic about an angel who shows a generous but frustrated businessman what life would have been like had he never been born. After watching this oldie but goodie, you can’t help but appreciate your life and all of the amazing people in it. Isn’t that what the holidays are all about? Elf (PG) Buddy is an adult human who just happened to be raised by elves in the North Pole. After accidentally wreaking some havoc on the elf community due to his large size, Buddy is sent to the U.S. in search of his true identity. While living in New York, he experiences human culture as only a true elf can. 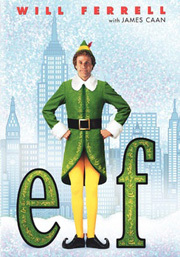 This movie has tons of comedy, some romance and Will Ferrell in an elf suit. Seriously, what more could you really ask for? National Lampoon’s Christmas Vacation (PG-13) OK so this may not be the most romantic of flicks, but your boy will love it and you’ll score points for picking such a fun film. Things never run smoothly for the Griswold family and their Christmas celebration is no exception. 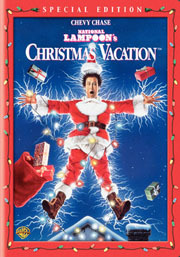 Anything that can go wrong will go wrong and the crazy Griswold antics will have you laughing out loud. Which is your favorite holidate pick? Blog about it, babes.